Many of us are aware that a healthy diet and regular exercise helps us live longer. However, did you also know that our attitude on life plays a significant role as well? Indeed, research has shown that the perspective of our own health and well-being actually influences the quality and longevity of our lives. In other words, how we view our life and health has a dramatic impact on how long and how well we’ll live. People who possessed a positive and enthusiastic outlook on life have been reported to live longer, more satisfying lives than those who did not. How would you like to be able to develop this sense of optimism and happy outlook on life? 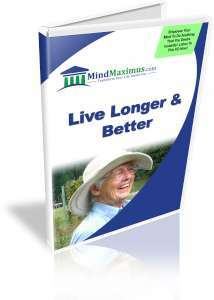 Do you wish you could life a happier, longer and more fruitful life? Are you constantly worried about sickness and disease as you get older? If you are, then here’s how you can put your worries to rest! Have you often wished to remain healthy, active and strong as you grow older? 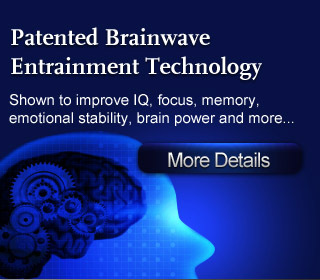 Today, with the latest in Brainwave technology we are able to instill a confident, more optimistic outlook on life by working with our brainwave frequencies to cultivate a more cheerful, satisfying and happy perspective towards our lives. Once our mind adopts this affirmation, our bodies will naturally function in sync with this attitude, allowing us to live longer and better lives than we ever dreamed possible! No reviews on F08 Live Longer & Better so far.